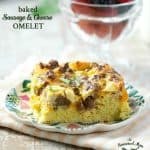 A simple, easy and delicious baked sausage and cheese omelet that's perfect for breakfast or brunch. 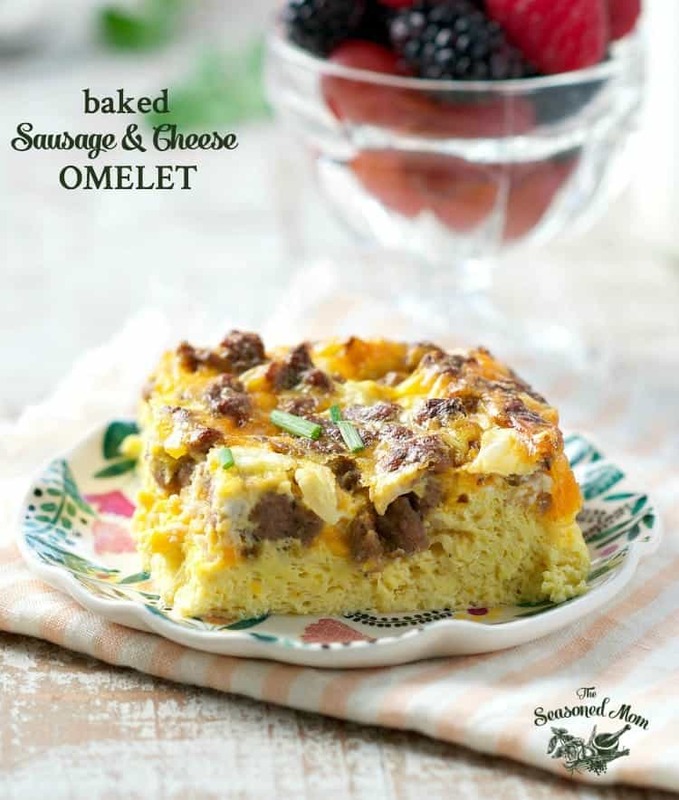 A delicious and easy baked sausage and cheese omelet. 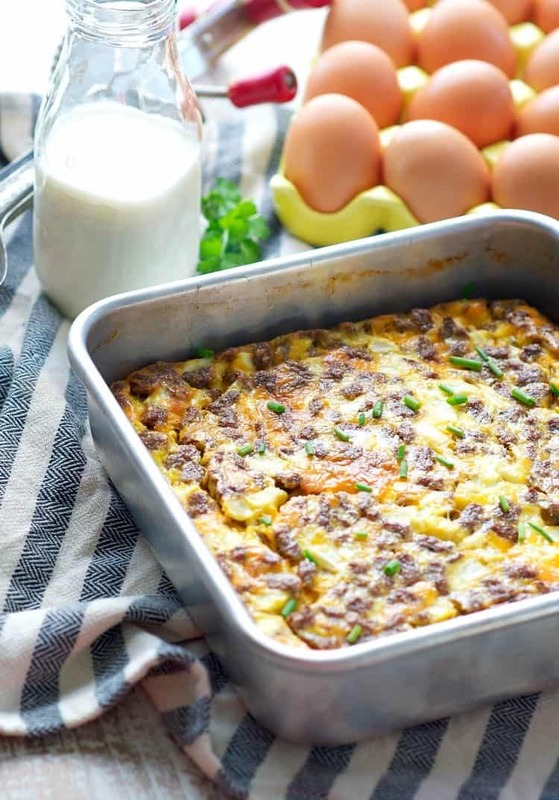 A great twist on a traditional omelet that’s so easy to put together, let it bake in the oven for a perfect every time breakfast casserole the whole family will enjoy. I’ve never been one of those daredevils who lets go of the handles on a roller coaster as it’s going down a huge hill. In fact, I’m not even a big fan of amusement park rides in general — that out-of-control adrenaline rush just isn’t my cup of tea. If you know me well, then you know that I like an organized plan. There’s comfort in predictability, but the constant need to feel one-step-ahead of any situation can be exhausting. The other problem with this approach is that when trying to avoid the unpleasant surprises, we often miss the joyful surprises as well. That’s why I have spent the past few months working really hard to just simplify my life. Instead of trying to predict what’s next and be ready for it, I’m actively choosing to embrace what comes my way with an optimism that I know it will all work out. 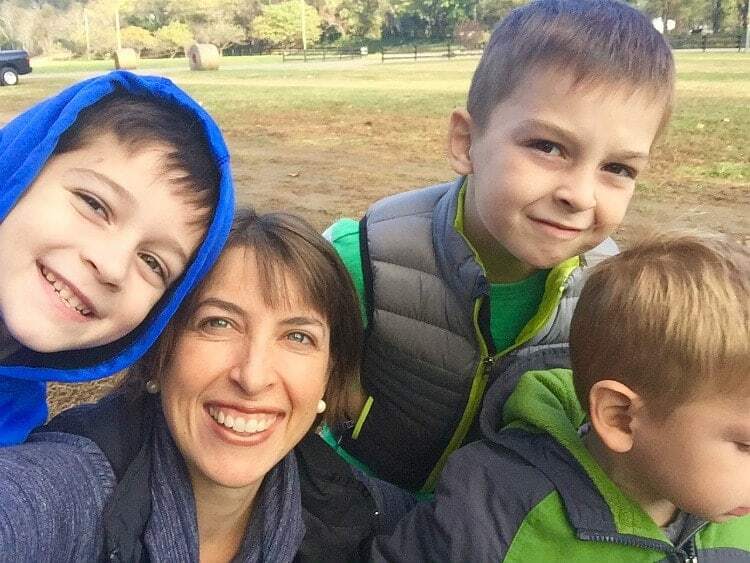 Anyone with children can attest to the fact that one, two, and three kids makes life an uncontrollable adventure. I’m not trying to reign in the chaos and swim upstream, but instead I’ve been rolling with the curves. 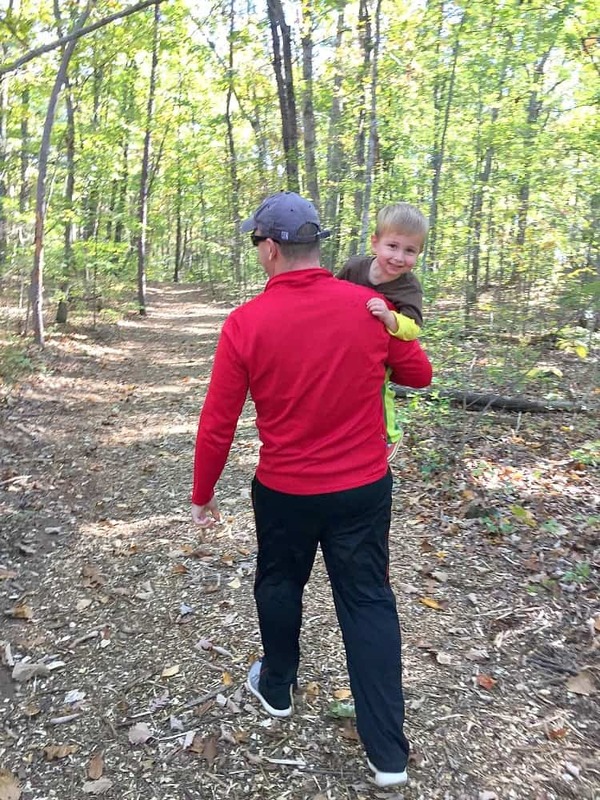 This approach manifests itself differently in various aspects of my life — whether it’s a more practical, pared-down wardrobe for the season (so that I can actually find my clothes in my closet); a fluid exercise routine based on what feels good to my body on a given day (rather than what’s written on a schedule); or saying “no” to a new work project because it’s not a perfect “fit” and I’d rather spend that time focused on my family. 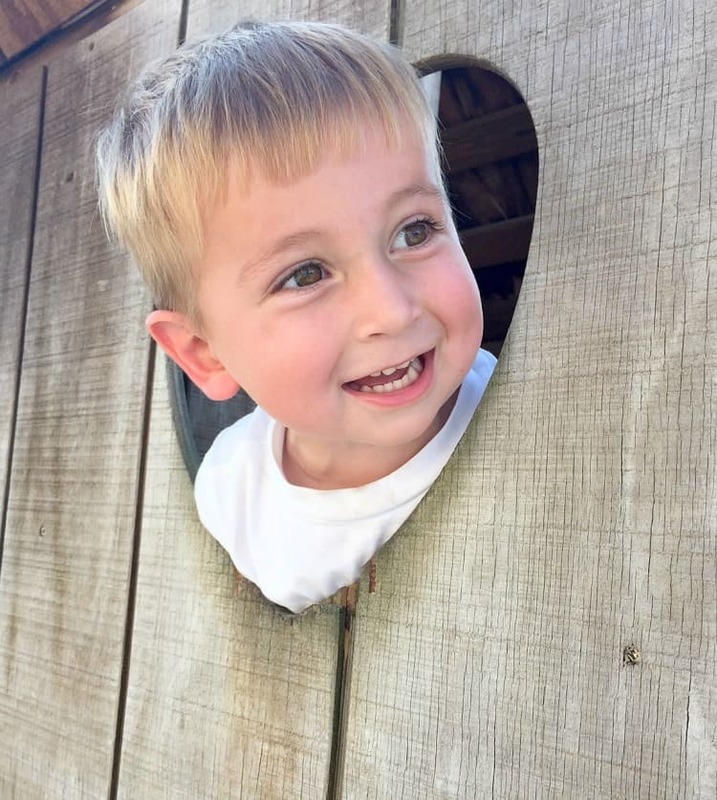 I have enjoyed a day at the local Apple Harvest with my boys, where the kids determined what we did, what they ate (lots of cider donuts! ), and when we left. 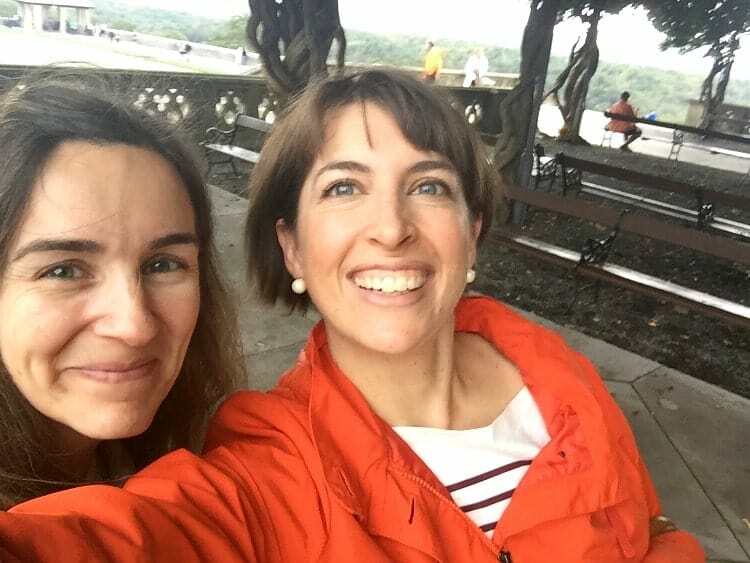 I spoiled myself with a girls’ getaway to Asheville with my best friend from college, where we arrived to the city with no specific plan — yet left relaxed and fulfilled. 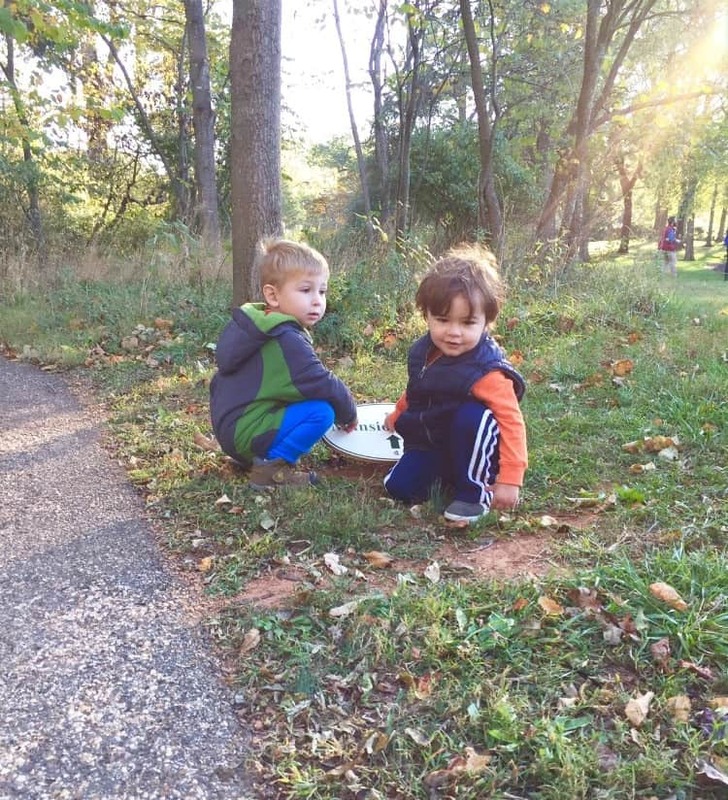 My friend Kristin and I enjoyed a beautiful fall morning walk as our two-year-olds guided our path (aimlessly) in search of tractors and road signs. or s’mores around the campfire in the backyard…well past bedtime. 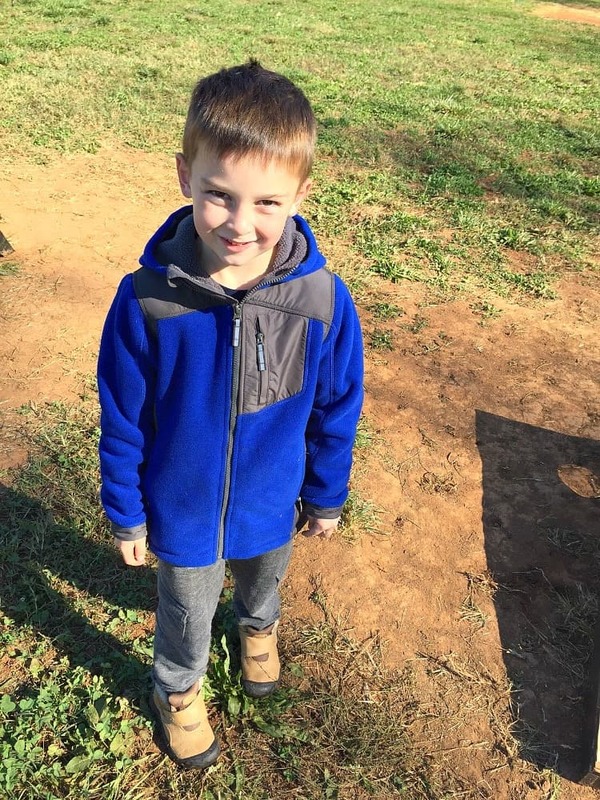 We even played hooky from preschool one morning when Spencer was having a rough day. 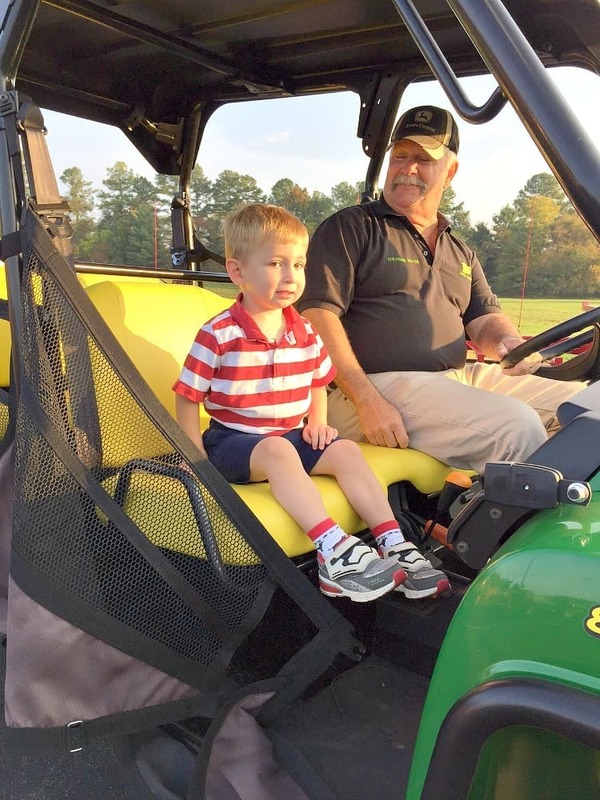 We just spent time feeding goats at Yoder’s and making a last-minute visit to the John Deere dealer for a bit of fun. I have found that these “small” moments are anything but insignificant. 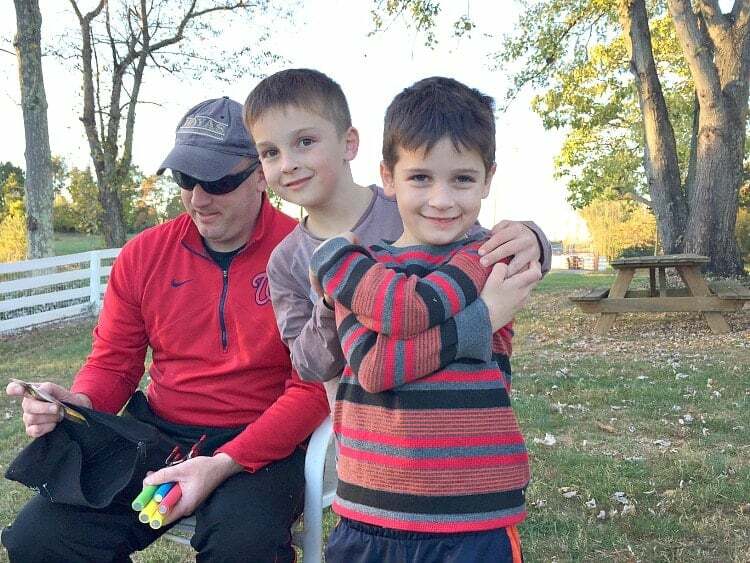 They are the memories that my kids and I will hold onto forever, as the unexpected adventures are most often the best. And when it comes to a more simplified approach to cooking and feeding my family, the baked cheese omelet has been an absolute favorite around here. It’s the definition of Simple Food: basic ingredients, classic flavor, and minimal dishes. I can spend 5 minutes on a weekend whisking together some ingredients, and then I have a quick and nourishing breakfast to get me through the week. I just keep it in the refrigerator and reheat the squares in the microwave for about 30 seconds when I need a quick meal. 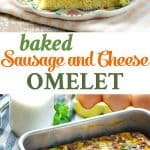 This twist on the classic cheese omelet has been my savior on crazy weekdays when we’re rushing out the door for school, or for mid-day snacks when I just need a bite of something light to get me to my next meal. I’m not washing a skillet or standing over the stove every time my craving for eggs emerges. I’m just fueling my body quickly and easily so that I can enjoy life’s ride. It turns out that letting go of the handles can feel pretty darn good on this roller coaster! PS — This baked cheese omelet is also a really great way to simplify a busy holiday morning! 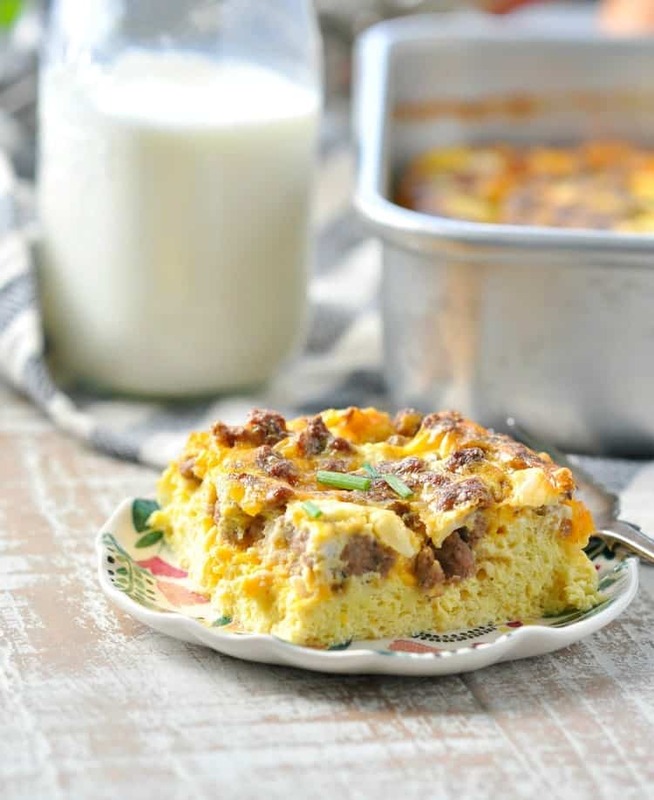 Spoil your family with a delicious breakfast casserole that requires almost no time in the kitchen! 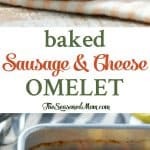 If you’ve tried this Baked Sausage And Cheese Omelet or any other recipe on The Seasoned Mom then don’t forget to rate the recipe and leave me a comment below! You can also follow me on Facebook, Twitter, Instagram and Pinterest to see what I’m getting up to. Beat eggs, milk, and seasoned salt together in a large bowl. Stir in sausage, cheese, and onion. Pour egg mixture into a greased 8-inch-square baking dish. Bake at 350 degrees for 40-45 minutes, or until eggs are cooked and omelet is set. Cut into squares and garnish with herbs, if desired. *For a shortcut, I used a 9.6 ounce package of Jimmy Dean Fully Cooked Turkey Sausage Crumbles. **I like to grate the cheese from a block (rather than using the pre-shredded packaged cheese) because I think it melts better. ***For a shortcut, I used frozen diced onion. You don’t even need to thaw it before adding it to the egg mixture! It’s all about the little things in life! I firmly believe that, and you gotta do what makes you happy. Sounds like you’ve been having a wonderful month so far, Blair! And hooray for yummy dishes like this omelet, too. Love the sausage and cheese combo! Perfect for breakfast or dinner! I loveee omelettes generally (especially if cheese is involved, haha!) but Jesse would go crazy over this! I bet it would make a great lunch option too! it really a cheesy omelet day before yesterday I tried this recipe and seriously it’s awesome. This is a great recipe Blair! As for me, I like fried eggs and sausages every morning) And definitely i try your similar recipe, thx for sharing! Hi, I’m hosting Easter Brunch this Sunday. Can I assemble this the night before and cook it in the morning? Hi, Eileen! I honestly haven’t tried assembling it the night before because I always worried that it might separate a bit and I would want to give everything a good whisk or stir right before baking. It might work totally fine, but I just don’t know since I’ve not done it myself. Blair, Thanks for the recipe. Delicious! Yay! I’m so glad that you enjoyed it, Tahlia! Blair, Delicious! I wonder, but a lot of calories? Hi, Roosevelt! If the calories are too high for your dietary preferences, you can certainly swap out the sausage for something lighter — like diced ham or turkey bacon. What is the serving size for the calories indicated in the Nutrition panel?